Minecraft creator Markus “Notch” Persson was considering creating a version of the popular sandbox game for the Oculus Rift. 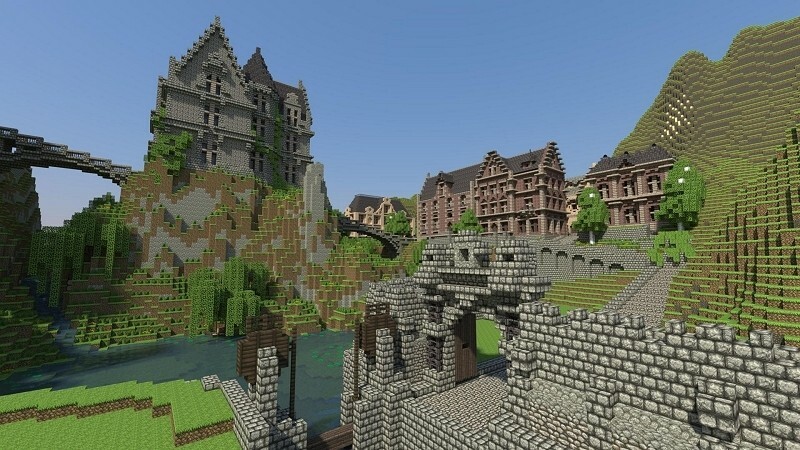 The game wasn’t really a solid fit for the platform as it’s very motion based, runs on Java and relies on a lot of GUI but he was willing to entertain the idea of creating a slimmed down version – perhaps something along the lines of the Minecraft Pi edition. As a top-level backer during the Kickstarter campaign, Notch was rewarded with a trip to visit the Oculus VR office – one that he took about two weeks ago. It was during this trip that the idea developed and his people started talking to their people to see if something to be worked out. Yesterday, however, Notch learned just as we did that Facebook acquired Oculus VR and all bets were off the table. The project has since been scrapped because Notch simply doesn’t want to work with the social networking company. In a post on his website, Notch said Facebook’s motives are too unclear and shifting and they haven’t historically been a stable platform. There’s nothing about their history that makes him trust them, he said, and that makes them seem creepy. He added that Facebook is not a company of grassroots tech enthusiasts, they aren’t a game tech company and they have a history of caring about building user numbers – and that’s it. Notch said he doesn’t think VR is bad for social as it could become one of the biggest applications of VR. He just doesn’t want to be a part of it.